We often forget how dangerous gangsters could be because in the movies they are portrayed as reformed rakes that fall in love with the protagonist. It sets the delusion on how dangerous they really are. Here is a list of the most notorious gangsters that probably puts horror stories to shame. 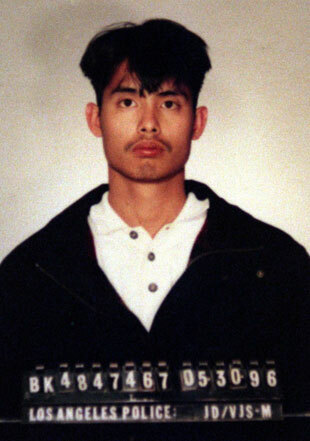 Mercado is a Filipino-American leader of the Asian Boyz Gang that had killed eight people and attempted to kill another ten in Los Angeles back in 1995. It was a crime spree dubbed as "summer of madness" since the gang committed robberies, assaults and killing random people. Nevertheless, he was caught in 2007 when he decided to go to the Philippines, married a socialite and kept a low profile. He was deported back to the US and sentenced to eight life sentences without parole in the US. 8. 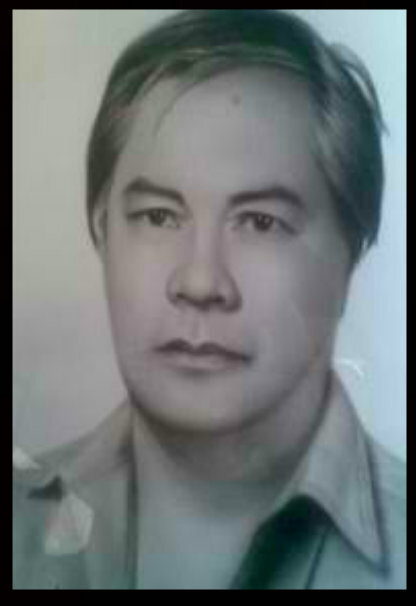 OCTAVIO "ONKOY" PAROJINOG SR. The leader of the Kuratong Baleleng which was ironically made to stifle communist expansion in Misamis Occidental led by the first leader Ongkoy Sr. However, Parojinog used the group not only to contain NPA activities successfully but also to do illegal activities such as robbery, extortion, and kidnapping. But in his hometown, he was called "Robin Hood of Lawis" because he was so generous to them. In 1990, Parojinog died when he was shot by the authorities while they were undergoing a drug operation inside a cockpit. He terrorized the Philippine sea as an infamous pirate using a hotel along Manila Bay as his headquarters. He and his gang operated in 1980's to early 1990's and is often hired to steal from ships, collect fraudulent insurance and repossess a ship. However what caught him was when they hijacked an M/T Tabangao oil tanker and thus was sentenced lifetime imprisonment in bilibid. 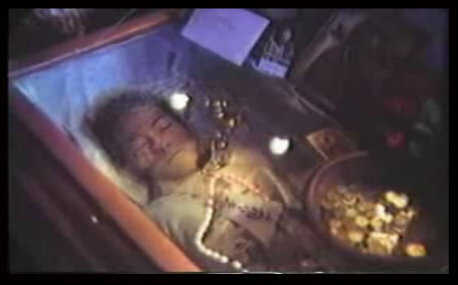 But then he was shot dead by a prison guard claiming he tried to escape in 1992. It still is a mystery since Cangco can only walk with his cane, while some think it's an attempt to silence him. 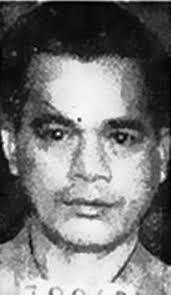 The leader of a violent gang that bears his name, Flores used to be a waiter and a car thief for the communist hit squad, Alex Boncayao Brigade in Malabon in 1980's. There was a point that Flores became a police asset, but it all changed when Flores formed his own group and violently killed innocent people and robberies all while dressed in a police uniform. His ruthlessness then ended, but his most known robbery was in a Rolex store in 2009. The store was located in Makati, Greenbelt 5. He was formerly a gang leader that spent in Muntinlupa Jail at the age of 16 and in a penal colony in Palawan for the murder of another Scion. Rich and spoiled kid, Belgica did everything he wanted. However, when he was jailed, he still formed gangs that often caused chaos, but on the other side, he became a born-again Christian. 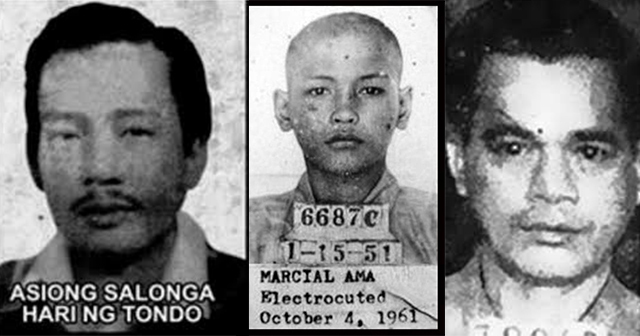 Late president Marcos, rewarded his parole in 1976 and ever since became a pastor and continued religious work. 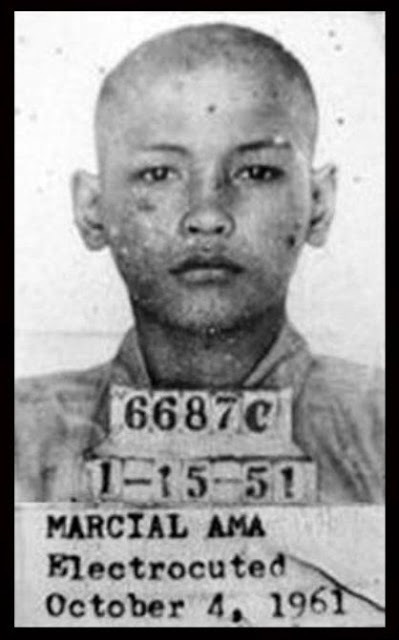 His name may sound like a sweet kid, but Perez was the deadliest man that ever graced the Bilibid Prison in Muntinlupa. He was arrested when he stole money in the purpose of helping his friend on his school fees. But because he had a baby face, he was often ridiculed inside the prison and was abused. However, he changed after he learned that his wife committed suicide after being raped by a prison guard. He then became the leader of the Sige-Sige Gang and was a hitman even in Jail. He then started the deadliest riot which was a bloodbath resulting nine dead inmates wherein one of those was even beheaded. Because of that, he was sentenced to death penalty thru electrocution in October 1961. Garcia came from Malabon and was known for his tumbling stunts and acrobatic skills. However, he engaged in drug dealing, robberies, and car-napping that made him notorious in his hometown. When he was involved personally in the death of seven policemen, authorities started to fear him. It was the abuse that Garcia had in the hands of a policeman when he was young. Started his hate for them, but when a policeman allegedly raped his wife, it was what ignited it. The locals still aren't afraid of him because he shared his profits with them, and even when he was finally shot dead in Friday the 13th of 1981, thousands attended his funeral. 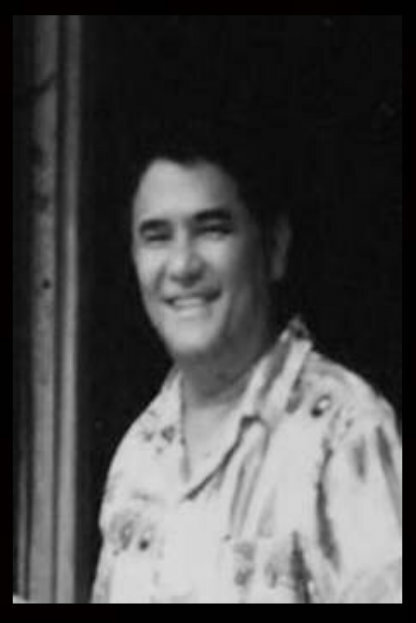 Salonga was known as Robin Hood to his neighbors and those he was friendly with. The tough neighborhood of Tondo might have shaped him to be tough, but his crimes were his decisions himself. However, he also became Public Enemy No.1 in Tondo for causing gang-related violence and ruthless crimes in which he always manages to get out of. At 26 years old, he was shot-ing the head by a henchman of his rival gang leader, Carlos "Totoy Golem" Capistrano. 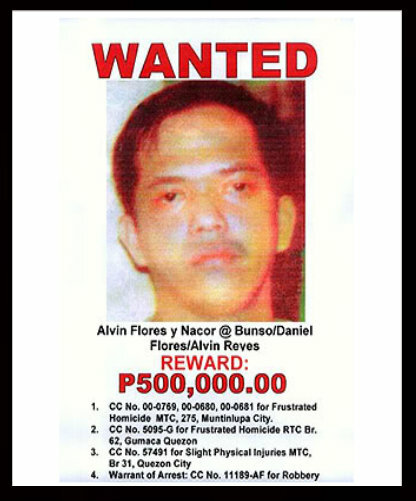 Cavite's Public Enemy No.1, Leonardo "Nardong Putik" Manecio was a notorious gangster that often evades the law in the most creative way possible. From hiding in rice paddies to escape authorities and enemies, he escapes without a doubt. He was usually engaged in robberies, illegal possession of firearms, abductions, and murder. But what made him a Public Enemy was his participation in Cavite's Maragondon Massacre in 1952 wherein they killed a mayor and the police chief because the rival political party hired them. For three times he escaped the authorities, but on February 10, 1971, he was put to end by the NBI in a highway shootout. These men are prim examples that being a Robin Hood isn't exactly a fulfilling life to lead if you're not in the line of the law.